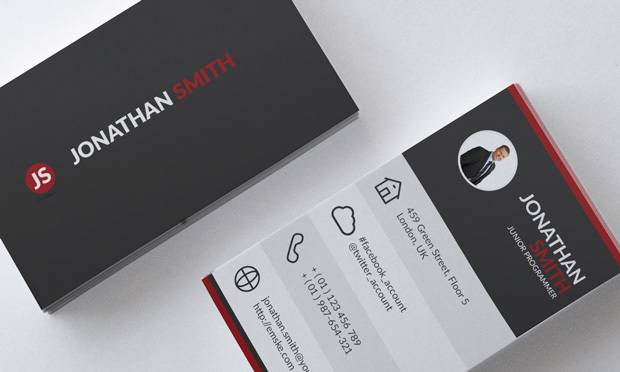 A great PSD personal business card template with photo, ideal to present your person with a modern and original outlook. B-card looks very universal so will be suitable for almost any business. Easily change the photo and enter your informations to create your own unique business card. I’ve tried to download this, but it keeps saying invalid file, although I have no problem with your resume template. Can you check your folder please? Everything looks good I have checked the file a moment ago. We even upload .zip pack again. If you will be have problem we can always send you a pack with the template on your e-mail, let us know. Can one use this template without Photoshop? Seems this file is from hell 🙂 Packed into a new .zip file and uploaded again, now should be everything ok.